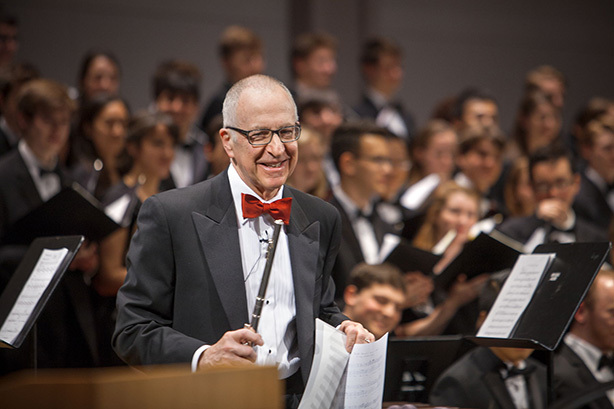 President David Skorton joins the Cornell Symphony Orchestra, the Cornell Chorus and the Cornell Glee Club during Charter Day Weekend for the "Evening Song" as part of the "My Cornell: A Celebration of Words and Music" concert held April 25 in Bailey Hall. "Go to college if you want a good job and a more secure future." That's the advice I received from my parents and teachers as a young baby boomer. An understandable vocational orientation still compels millions of students to pursue a higher education degree, and with impressive results: Median lifetime incomes of people with bachelor's degrees today are more than 65 percent higher than those with only high school educations. And the unemployment statistics for college graduates are impressive. Higher education clearly delivers in the job market – but higher education, specifically a four-year residential undergraduate experience, is about more than getting a good job. At its best, it also provides the experiences and perspectives needed to thrive in a complex, global and ever-changing world. My friend and colleague Norm Augustine, former undersecretary of the Army and retired CEO of Lockheed Martin, says the common thread among his best engineers is that they come from an education that balanced a technical background with social sciences. 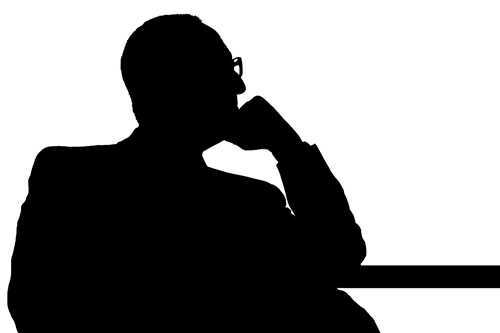 In a September 2011 Wall Street Journal op-ed, Norm wrote, "... the factor that most distinguished those who advanced in the organization was the ability to think broadly and read and write clearly." My own training in medicine and biomedical research was built on the foundation of a broad liberal arts education, and I believe that combination has contributed in a major way to everything I do and think, at work and at home. What happens outside the classroom at universities like Cornell is also important to students' success. Important life and job-market skills come not only from the classroom – but also from the person living down the hall from you whose background and life experience are totally different from your own. Fortunately, at Cornell, we have incredible classroom and non-classroom resources that contribute to student learning. Besides a world-class faculty and talented staff, we have a world-encompassing student body. Our students represent 114 of the 190 U.N. recognized nations in the world, and 20.1 percent of our student body is international. To learn in the classroom while simultaneously learning outside the classroom, interacting with people from all over the world, confronting new ideas, new lifestyles and new perspectives – these sorts of experiences add value to undergraduate student life that go far beyond the degree received. The goal is to help students acquire cutting-edge knowledge and the tools to update that knowledge throughout their lives – to put ideas together in novel and productive ways, and to think beyond their own experiences with a critical eye but also with empathy. That's the Cornell Experience! David J. Skorton is president of Cornell University. On June 30, he will step down after nine years as president to become secretary of the Smithsonian Institution.